Volatility makes for an excellent addition to any financial trading portfolio. AvaTrade Bitcoin Broker offers zero commissions on Bitcoin Online trading and no bank fees charged on transactions. 1-click functionality allows you to buy/sell Bitcoin/Bitcoin Cash on our MT4 platform. Like with all forex brokers this is offered as a CFD and in this case you do not enter the Market, when you are trading Bitcoin with AvaTrade, you are trading on the price changes of the digital coin, and not actually buying Bitcoin. The maximum accumulated position size for Bitcoin is 100 BTCUSD (10 LOTS). The maximum accumulated position size for Bitcoin Cash is 100 BCHUSD (10 LOTS). AvaTrade is an international Forex broker part of the Ava Group of companies. Founded in 2006, they are one of the oldest online brokers with four offices, located in Japan, Australia, Ireland & British Virgin Islands. in most cases i am not a fan of automatic trading besides the openbook of Etoro, as you give up some control and it might eat your account before you know it. so before you go and mirror trade , do your homework and make sure you do it right and with not more then 3% of your portfolio. Their list of available assets for trading at AvaTrade Bitcoin broker includes over 200 Forex and currency pairs, commodities (oil, gold silver), indices (majors and minors ) and ofcourse the crypto currencies. The recently introduced crypto currencies are besides the Bitcoin also Ethereum, Dash and XRP. AvaTrade Bitcoin online trading Brokerage is licensed by various financial regulators depending on your country of residence. AVATrade EU Ltd is regulated by the Central Bank of Ireland, #C53877, which covers the entire European Union. AvaCapital Markets Pty Ltd is licensed in South Africa by the FSB license #45984. AvaTrade Japan K.K. is licensed by the FSA Japan #1662 & the Japan FFA #1574. AvaCapital Markets Australia Pty Ltd is licensed by ASIC in Australia #406684. With the recent volatility in the Forex markets and now even more in the cryptocurrency markets, it makes sense to only trade with the brokers that have a good license and thus insurance in case they fall and you still have money there. the fact that Avatrade Bitcoin Broker has segregated accounts (which means your money an theirs is not mixed) is even better for the peace of heart. this Broker offers a number of online Forex trading platforms such as AvaTrader, MetaTrader 4, MT4 – Spread Betting, MT4 Floating Spreads, AvaOptions, Automated Trading, Mac Trading and Web-Trading. They also provide highly capable mobile versions of AvaTrader Mobile and MetaTrader 4 for both IOS and Android devices. Please see below for a brief overview of each. AvaTrader: AvaTrader is AvaTrade’s own proprietary trading software that will allow you to trade Forex and CFD’s with a single click. The platform comes complete with a variety of customisable tools and indicators suitable for complex analysis and testing. It also includes EA compatibility and suits automated trading routines. It is suitable for both novice and expert traders alike. MetaTrader 4: This platform needs no introductions. MetaTrader 4 or MT4, is the world’s most popular online trading platform. MT4 has a full range of instruments, one-click executions, a full range of stop and limit orders and a wide array of charting and analytical tools. Highly customisable to suit complex needs, yet simple enough even more a novice to get to grips with, MT4 continues to suits traders of all levels. MetaTrader 4: Spread Betting: AvaTrade’s “MetaTrader4 – Spread Betting” platform provides the powerful features of MT4 such as automated trading with EAs, signals and advanced charting, with the advantages of Financial Spread Betting. They offer a full range of markets including Forex, Commodities, Indices, Equities, and ETFs, with spreads starting from just 0.9 pips. AVAOptions: This Forex platform combines the power and flexibility of Forex Options trading alongside Forex Spot trading and is the first to easily provide over the counter Vanilla Calls and Puts. The platform allows you to trade over 30 vanilla currency options alongside your spot trades. This incredible platform allows you to create precise trading strategies that really match your trading style. Mac Trading: Mac users are catered for via AvaTrade’s java-based “Mac Trading” platform. The web-based platform works behind most firewalls and is constantly monitored to ensure fast execution times.Traders can expect real-time live quotes, charts and news, over sixty currency pairs, commodities, Indices, Stocks, Bonds and more. This platform is available to all traders. Simply register on the AvaTrade website and start trading immediately. Web Trading: All customers can take advantage of the AvaTrade Bitcoin trading with the avatrade online platform. The AvaTrader and MetaTrader 4 web-trading platforms are available 24hrs a day, 5 days a week. 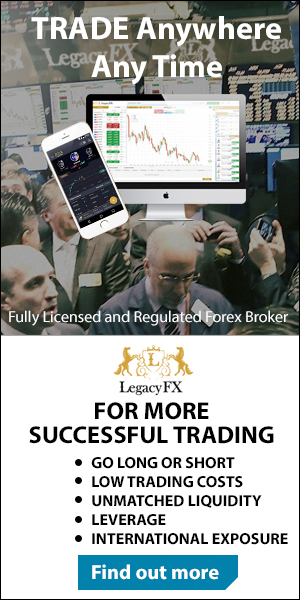 They are compatible with multiple browsers such as Internet Explorer, Google Chrome, Firefox and Safari, and allow you to trade Forex, Commodities, Indices, Equities, Bonds and ETF’s. In fact, over 200 financial products are offered, including sixty currency pairs and over a hundred CFD products. One of the best features AvaTrade bitcoin broker offers is their automatic trading package. The package is a part of the trading software. This also gives at the same time the traders access to other services and features. This package was build for traders to get started with the lowest learning curve possible and everything is made so the traders will be able to use the tools easy and fast. Avatrade Bitcoin Broker offers Bitcoin online trading for those that look to trade rather then to invest in Bitcoin or other cryptocurrencies .n This Regulated Broker offers Bitcoin Trading on their Metatrader 4 Platform as web as other trading Platforms.